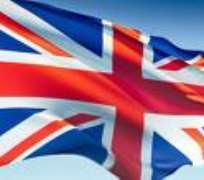 Time and time again, the British Embassy in Nigeria denies people visas to visit the United Kingdom on many different grounds. But when all documents are presented on request as experienced by DX-Generation band, and one is still denied a visiting visa, there is room for questioning. The yuletide season is usually the busiest of times for most entertainers as several engagements are lined up. One of such was the watch-night service of the Pastor Mathew Ashimolowo-led Kings International Christian Centre (KICC) at its international headquarters in London. Among the Nigerian acts invited to minister at the event was rap diva, Bouqui, Holy Mallam, Sammie Okposo and DX-Generation Band. As much as the KICC lawyer in Nigeria tried to convince authorities of the embassy about the credibility of the artistes and the authenticity of their claims by providing papers of the hotel reservations already secured for the band in the name of the band members, the embassy went ahead to deny the band their visas. The lawyer was further infuriated as there was no prior record against his client since it was not the first time Nigerian artistes are being flown into London for any of their programmes, being one of the biggest black churches in the United Kingdom. A number of industry practitioners including Rugged Man, Olu Maintain, and Denrele Edun to mention a few, have at one time or the other suffered rejection at this embassy, although they were later given visas. Consequently, entertainers are beginning to cry out against the British Embassy's surveillance and denial of UK visas, particularly artistes who are billed to perform in the U.K.
One person taking this very seriously is Sammie Okposo. The singer has had his lawyer send a letter of petition to the British Embassy while personally reporting the case to PMAN president, TeeMac. The singer is particularly agitated that after performing for the British Council for free alongside DX-Generation band just a few days before showing up at its embassy for a visa, the institution turns around and rejects the band's application.